Obesity can increase the risk of heart disease and diabetes among others. The number of people with obesity in the UK has more than trebled in the last 25 years. Doctors now say that the condition is reaching 'epidemic' proportions. Why are they so concerned? A person is considered obese if they are very overweight with a high degree of body fat. Some experts believe obesity is responsible for more ill health than smoking. Being significantly overweight is linked to a wide range of health problems. 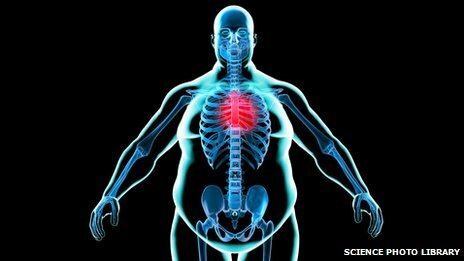 BBC Science : What are the risks of obesity?